When you’re looking for a new car in Onatrio, Rochester, or Wayne County, NY, you want to be sure that you’re making the best choice. But since there are so many auto brands making vehicles these days, how can you be sure that one car is better for you than another? 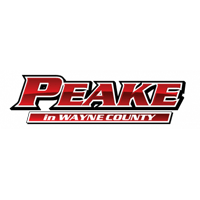 Peake Chrysler Dodge Jeep RAM Fiat wants new car shoppers from Ontario, Rochester, and Wayne County to have a stress-free car-buying experience, which is why we’ve compiled a number of car comparisons to help you conduct research. This way you can be sure that you’re choosing the right new car. And because these comparisons are readily available, you can save time at the Peake Chrysler Dodge Jeep RAM Fiat by reading them beforehand. To make our car comparisons the most useful, we only compare our vehicles with their closest competitors and look up relevant information that can affect your car-buying decisions for vehicles in our new inventory. You can learn plenty of previously unknown facts about all of our Dodge, Chrysler, Jeep, Ram and Fiat vehicles through these car comparisons. And since we tailor these comparisons to match up beneficial information, such as engine configuration, technology advancements, safety features, exterior design, and interior comfort, you’ll be able to see what makes the vehicles in Peake Chrysler Dodge Jeep RAM Fiat’s new inventory so special. Peake CJDRF wants you to get the most out of these car comparisons for a new car in Webster, Rochester, or Wayne County, so we always take the time to compile these comparisons in a language that you can understand. If you’re not an automotive expert, you’ll find that other vehicle comparisons feature complicated language and terms you don’t understand. To avoid any confusion, we write our vehicle reviews in an easy-to-read format to make sure you know what’s being compared and which vehicle has the upper hand. Take a look at some of our car comparisons below before you buy your next car in Ontario, Wayne County, or Rochester to make sure that you’re making the right choice.